Having recently seen Drive and looking around for interpretations about it, I came upon a term that I had never really paid much attention to. Inception is my second favorite movie of all time, beaten only by The Empire Strikes Back. And when you stop and think about it, that movie also has Noir aesthetics all over it. Pretty much everything happening in Cloud City is prime Noir material. 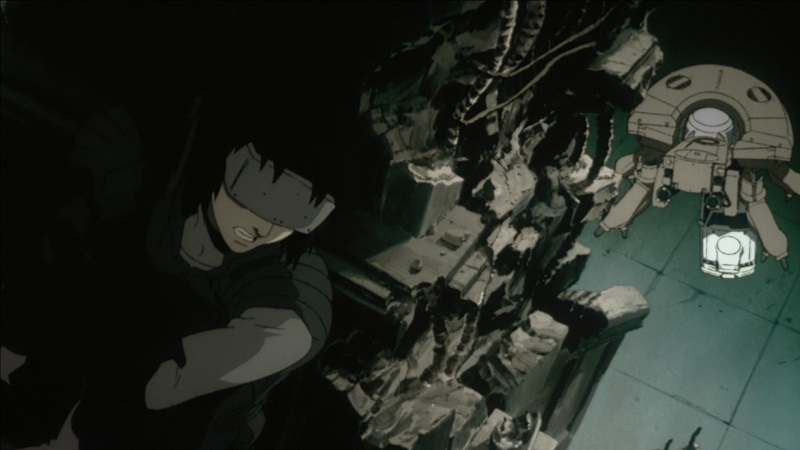 Looking back at it, the first works of this style that I really fell in love with were Blade Runner and Ghost in the Shell (including the TV series). Of course, you could argue that these are perhaps the two biggest cyberpunk movies ever made. But what is cyberpunk other than Noir with futuristic elements? 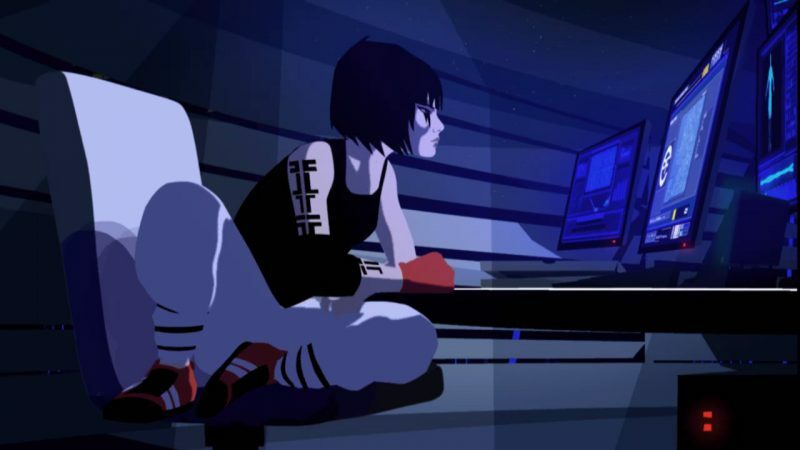 Which reminded me of Mirror’s Edge, one of my favorite videogames that I’ve always been thinking of as “cyberpunk without the futuristic elements”. Yeah, once you consider Neo-Noir to be a distinct category, it falls perfectly into it. The socially isolated protagonist living in a blurry gray world on the edge of legality. Characters looking for meaning in a heartless world and coming to bleak realizations about their own lives. And they hang out in a place that looks like this. 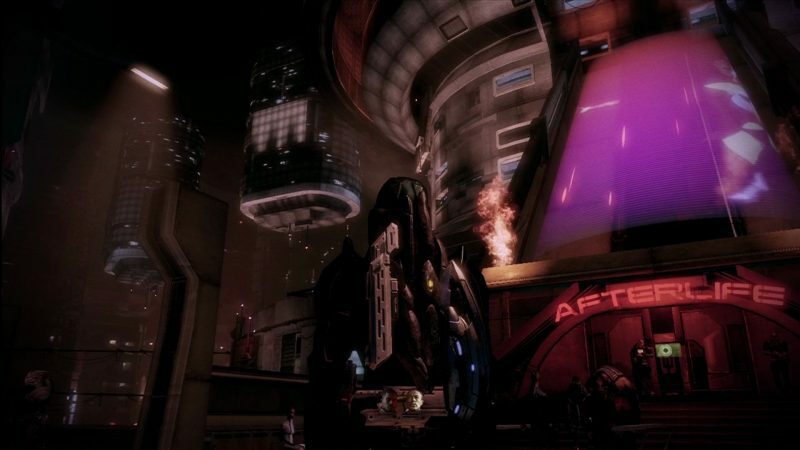 And suddenly it all came together: Mass Effect 2 is also a work of Neo Noir. The first game had already blown my mind, but I was amazed when I came out to the street on Omega. And never had a game felt so perfect as when I first stepped through the door into Afterlife. It is my favorite game of all time, with no contenders. It might be a bit of a stretch, but I feel that there are at least a great deal of thematic elements of Noir in the Witcher books. The world went to crap, there’s no justice, characters with questionable morales are trying to do the right thing when dealing with those who are morally bancrupt, and there’s always a slight doubt that maybe everyone getting conquered by the Empire might not be the worst idea. 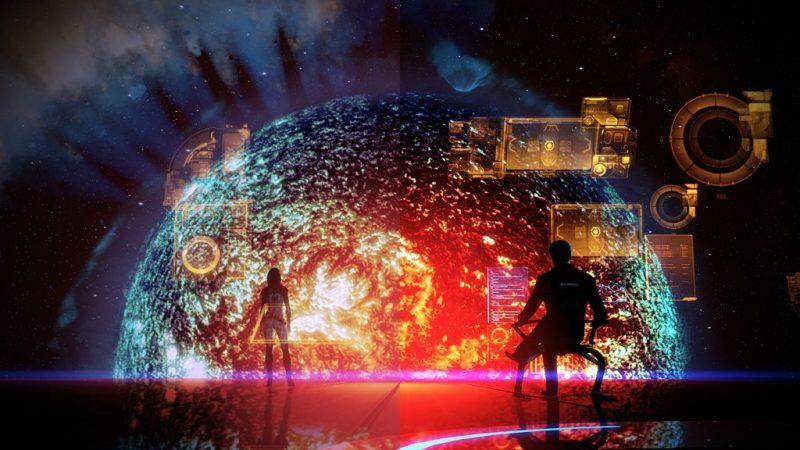 And while it would probably be a bit nonsensical to call Bound by Flame a noir fantasy game, the mood of dignified despair is certainly there. It comes as a bit of a surprise after all these years that there’s an umbrella term that encompasses pretty much my entire top list of greatest works of fiction ever made. But then, many of the works I mentioned are considered to be really great by a lot of people around the world, so it’s not like this is a style that hasn’t proven itself over the past decades. The period of their making also started just before I was born, which probably isn’t a coincidence either. It’s a style that I’ve been exposed to all my life. While the aesthetics of Noir and Neo-Noir are generally pretty easy to pin down, definitions of the genre are usually rather blurred and unclear. Yet at the same time, works tend to fall into a pretty narrow band of stories. Socially isolated protagonists who are living with one foot in prison and one foot in the grave whose lives have become empty and who are searching for any kind of meaning in their seemingly bleak worlds. Sometimes they catch a faint glimer of hope they can pursue, other times they doom themselves. Questions about identity and filling an inherently meaningless existence with meaning are the basic foundations of Existentialism, which to me is really the only thing worth exploring in a story. 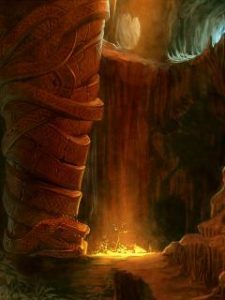 I’ve been watching, reading, and playing stories of this type for all of my adult life and so I probably already do know most of what there is to know about it on an intuitive level. But as someone interesting in writing my own stories this seems like a great opportunity to refocusing my research. Update: Some more that I totally forgot and didn’t think about: Hellboy, Thief, The Big Lebowsky, Leon the Professional, True Detective, Breaking Bad. I think it’s probably much harder for me to come up with a list of movies, videogames, and TV shows that don’t have a strong Neo-Noir aesthetic. I was just thinking about a funny quote from my favorite movie Inception, and it occured to me that in addition to the joke there is probably a piece of very good and very well considered writing advice in it. Ariadne: And why don’t you approve? Arthur: Because it involves telling the mark that he’s dreaming. Which involves attracting a lot of attention to us. Ariadne: Didn’t Cobb say never to do that? Arthur: So now you’ve noticed how much time Cobb spends doing things he says never to do. All the characters in the movie stand for the different members of a film making team (with the man they trying to trick representing for the audience), and the character Cobb represents Nolan himself as the director and scriptwriter. And through the first half of the movie Cobb/Nolan explains how you tell a good story well and also points out what things are dangerous as they risk losing the audience. And I think the line “So now you’ve noticed how much time Cobb spends doing things he says never to do.” is not just a joke. Because in the end, breaking lots of the rules works out very well for them. Perhaps it’s even the most important line in the whole movie. Know the rules, understand the rules, but trust your instinct when you think it might be a good idea to break them. Inception is a movie about many things, but primarily it’s a movie about telling stories. 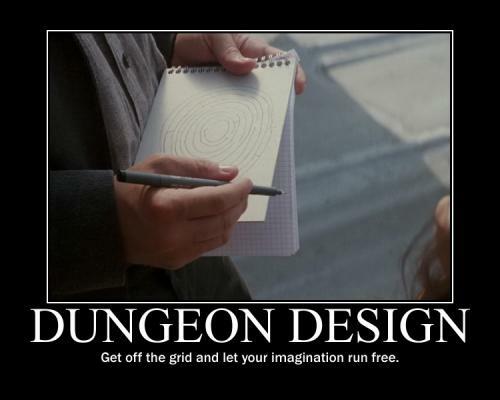 And for both GMs and game designers, what I consider the most important scene in the entire movie is the one where Cobb hands Ariadne a block of graph paper and asks her to show him a demonstration of her creative abilities as an architect. And none of the mazes she draws for him are satisfactory until she flips over the block and uses the plain backside instead of the graph paper. If you are playing on a battle grid and want to be able to exactly determine the number of squares in any given room, you can still copy or trace the map onto graph paper. But other than modern houses, the world is not arranged along neatly places squares. Trying to create maps for forests or caves, and even villages or castles along the grid of graph paper never really gets you anything that looks really good. But once you ditch the grid all kinds of new possibilities become open to you. Which can result in such awesome maps as the ones made by Kevin Camplell presented at Dyson’s Dodecahedron.